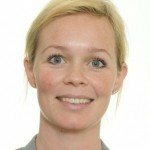 Irmela van der Bijl Mysen is Senior Compliance Officer at Statkraft AS, Europe’s largest renewable energy provider. For the past five years, Irmela has worked at the Council on Ethics for the Norwegian Government Pension Fund Global where she investigated corruption allegations involving multinational companies in several sectors in the fund’s portfolio. She also assessed the effective implementation of these companies internal controls and anti-corruption compliance programs to prevent corruption from reoccurring. Irmela has also worked as Deputy Judge at a Court of First Instance in the Oslo region, and she worked as lawyer and litigated a large number of criminal and civil law cases in various regions in Norway. Irmela holds a Cand.Jur. from the law faculty in Oslo and an LLM in International Criminal Law from Universiteit Utrecht, the Netherlands. Imrela will focus her case study on anti-corruption in the supply chain discussing specific challenges and lessons learned from the construction process of Statkraft’s renewable energy projects.